Every year thousands of young Nigerians are chosen to spend a year of NYSC. 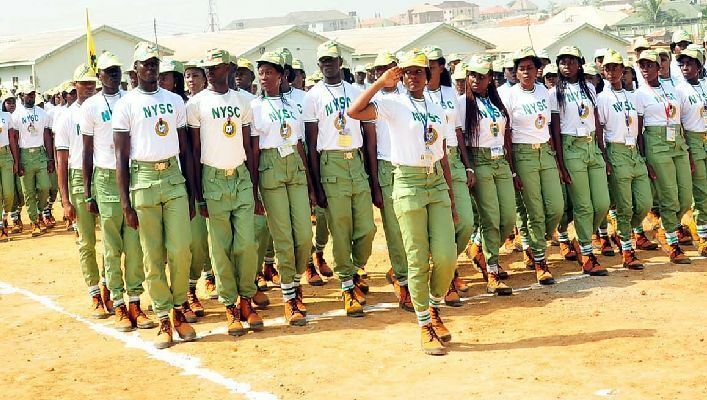 What is the best NYSC camp in Nigeria in 2019? Where would you like to go as a Corper this year? Everyone in our country knows that NYSC is the National Youth Service Corps. Once you graduate from a college or university you are obliged to devote one year to NYSC and since it is a national obligation, Corpers deserve to enjoy some NYSC allowance while serving. Don’t they? Each NYSC camp has its own advantages and disadvantages. A lot depends on your fortune because it is not possible to choose your exact best NYSC orientation camp in Nigeria on your own. This choice is made on your behalf by the government. Every candidate is asked to choose 4 different states preferred for their service year. However, most Corpers have no idea where they will be assigned to spend their service year. Still, it is important to learn which state has the best NYSC orientation camp in Nigeria. At least, you’ll be able to make your four choices based on your expectations. When thinking about the best NYSC orientation camp in Nigeria, each young person wishes it to be as close to home as possible, safe to live, secured, with good infrastructure, amazing job options, etc. These are probably the top factors that worry our minds. So, let’s see which are the most interesting places for spending your National Youth Service Corps year. The information is based on reports by nigerianinfopedia.com and ranksng.com. Being the economic center of Nigeria and well-developed area, Lagos State has a lot of awesome opportunities for the youth and their future. No wonder that so many Corpers-to-be believe this is the best NYSC orientation camp in Nigeria ever. Firstly, this place is much safer compared to many others. Secondly, it has many entertainment opportunities, so every new Corp member who is posted here can expect an exciting year. However, life is not cheap in Lagos State. This area has expensive accommodation price, expensive food, transportation, etc. Firstly, it is cheap to live here. Secondly, food is affordable. Thirdly, the local government could pay you as much as 60,000 Naira per year at the end of your service. This can be an awesome camp for National Youth Service Corps serving year. Many young men and women would be happy to be posted here in 2019. While no one guarantees that you can get here just by your wish, we would like to describe your possible advantages shortly. Firstly, most Corpers receive their payment right after camp. Secondly, this is a secure location for Nigerians. Thirdly, local housing and other expenses are comparatively low. At last but not least. This is also a great choice if you get posted to Kano State in 2019. If you don’t end up serving in Lagos, you can have serve here and be happy about your NYSC year experience. This place can be easily called safe. To live here is pretty affordable, and while you are not paid extremely high monthly allowances. Being a part of the National Youth Service Corps is something each young Nigerian has to go through. The question is whether you are posted in a good place or not. Well, if it is your fortune to spend a year in Ekiti State camp you can keep a big smile on your face. This might not be a commercial center like Lagos or Abuja, it might not have the biggest market in the country, but it does have some nice attractions for its guests. In other words, you can spend a good year here as a member of the Youth Service Corps. Maybe you would like to add it to your wish list in 2019? Besides being an educational heart of the country, Kaduna State boasts one of the best healthcare services in Nigeria. Serving here, you can be safe about your health and know that you can be treated in case anything happens during your NYSC camp year. Unlike Abuja or Lagos, Enugu State is affordable for young people. You can find cheap food here. You can get a fair price for your home rent. You won’t have big problems with transportation, etc. If you love Yoruba culture, Oyo State can be your best choice of a camp. This area’s main inhabitants are Yoruba ethnic group. Well-developed, interesting, and affordable Cross River State is also one of the best NYSC camp options for young Nigerians. Here you can find the security, get inexpensive accommodation, enjoy good roads and get paid by the government. Private companies also ask for Corpers and they may pay you nothing at all during your service year or offer even more than the government allowance. You have learned about the best NYSC camp in Nigeria in 2019. There are several top places where you could be happy to work during your serving year.